My friend David has long podered how to change the world. Everyone agrees that education is the key to peace and less poverty. But how can we give more of the poor an education? 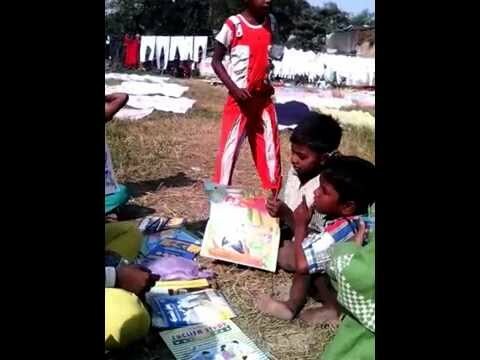 The linked video shows his first experiment with getting poor children an education. David has paid the woman in the video to teach children who don’t already attend school. 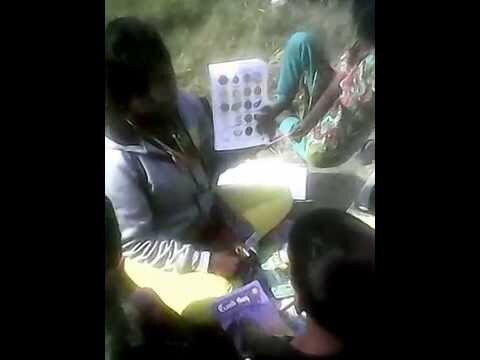 She receives $6 an hour, and there is some cost to transferring the money and supplying teaching materials. Davids goal is to teach 1 million children, who otherwise would not have had any kind of schooling, in english reading and writing. It’s an experiment, but it’ll be an interesting experiment to follow. Do write him if you want to participate. Of course, I’ve chosen to participate myself, in addition to spreading the word. If you want to send a contribution, you can do so by PayPal to da@ebogholderen.dk, via the Danish system Mobile Pay to number 2334 2254, via his Danish bank account 5379 315028. His plan is to send you a video in return within two months, which the teacher will dedicate to you, so you can see the result of your contribution. I vouch for David myself, this is something he’s been planning a while, and something I find to be very socially innovative. I know David well, and can vouch for that he does not make a dime doing this, all your money will go to teaching, minus, like I mentioned, a bit of money transfer fees and teaching materials for the kids. You can also visit the Facebook page for his new organisation Teach-a-Million. Quick update: within the first day, teaching a class for 40 hours plus teaching material was sent in 10 contributions. Following up on my little SSD series, today I finally got my Seagate GoFlex thunderbolt enclosure from customs. The SSD arrived around two weeks ago, and I had already done a SuperDuper copy of my home-made Fusion drive to the SSD via USB 2.0. Three days later, I could start using it, via USB. First I preferred the extra speed from my Fusion drive, but pretty soon I took the quiet of the SSD over those extra MB/sec. Speed-wise I was surprised to find I would get about 34 MB/sec via USB 2.0. I guess I under-estimated USB 2.0 a little bit, assuming I would get ~20 MB/sec. The Fusion drive solution would give me bursts of 114 MB/sec write and 180 MB/sec read, but over time I would often get around ~30 MB/sec. I must admit I had forgotten exactly how slow magnetic disks can be, I assumed I would get around ~80 MB/sec from it, but I was wrong. So resolving my over-estimating magnetic disk speeds and under-estimating USB 2.0 speed and enjoying the quiet, the last week was spent running of the SSD via USB. That meant that taking it out of the USB dock and into the GoFlex thunderbolt adapter took a few seconds and I could boot. The final result was that I’m getting a pretty consistent 355 MB/sec write and 383 MB/sec read of the disk, which is better than the 330 MB/sec I was expecting, but far from the 550 MB/sec the disk can deliver. I still have found no answer to why all those enclosures won’t push the disk speed further, even Thunderbolt 1 has bandwidth to spare at this speed. But since I knew that going in, all in all I’m very happy. :-) And hopefully, this is where my SSD story ends, until I’ll transition to my next iMac in two CPU generations time.